Know someone crafty (like yourself)? 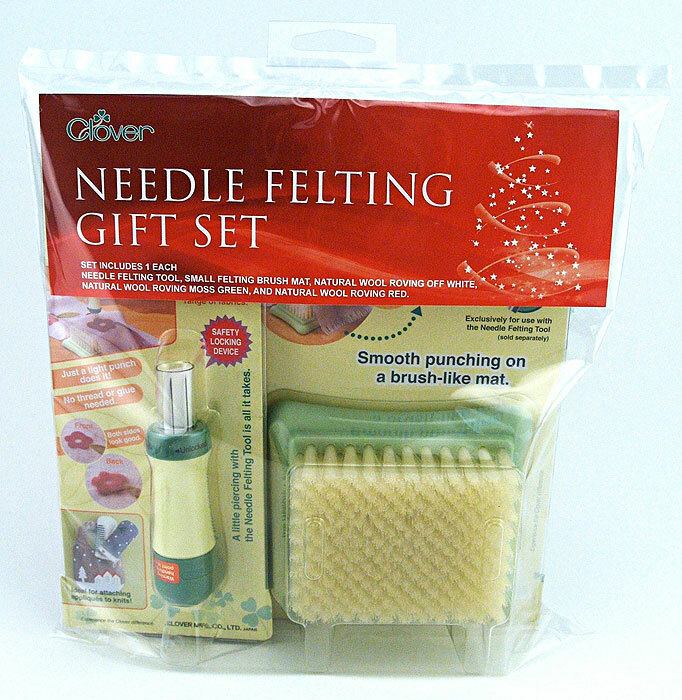 The Clover Needle Felting Kit is a great gift for both new and seasoned felters. It comes with one needle felting tool, small felting brush mat, and highest quality wool roving in off white, red and green. Clover makes premium quality products, so you know they will work and won’t break right after opening the package. 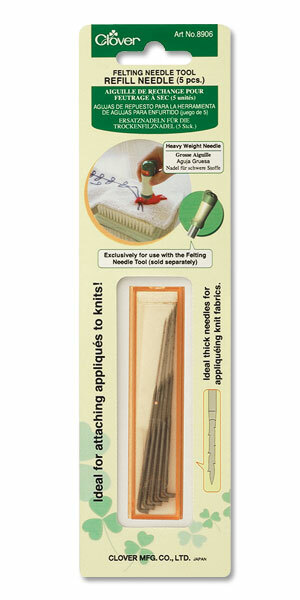 A package of felting needle refills makes a nice addition to the felting kit and/or stocking stuffer for felters. 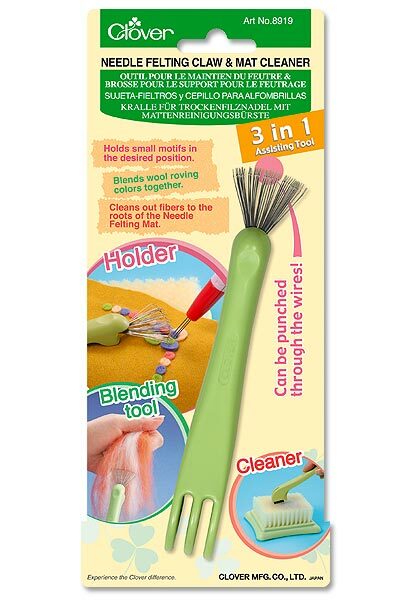 The Claw/Mat Cleaner is another great stocking stuffer! It helps keep small pieces i place, acts as a blending tool, and works as a brush to remove wool from the felting mat. As always, you can find us at knitomatic.com. 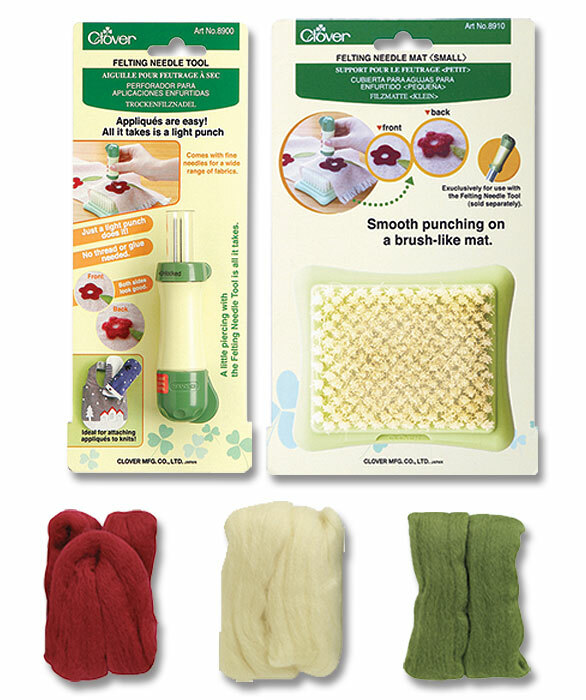 This entry was posted in felting, gifts, holiday, kit on November 24, 2010 by Knit-O-Matic.